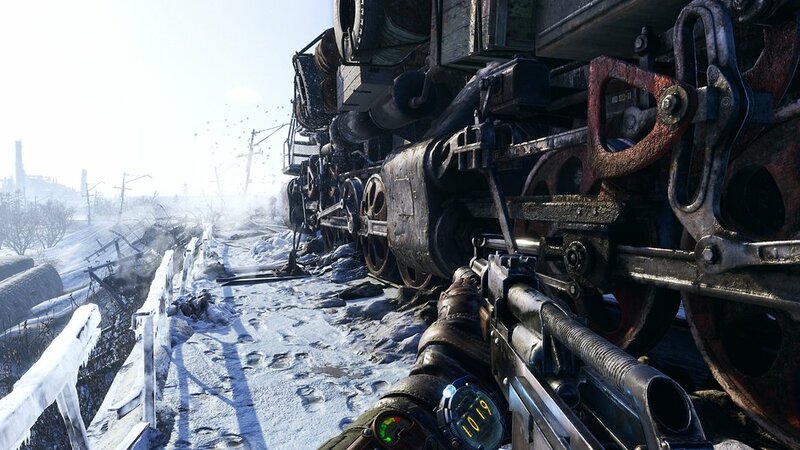 Much has been said about Metro Exodus’ larger, more open ended level design in recent weeks. The game’s developers have spoken about how each level can be multiple hours long, while they’ve also gone into some detail about how the game will handle exploration and optional content. The impression we’ve been getting from all that is that Exodus is going to be much, much larger in scope than either Metro 2033 or Last Light. That definitely is going to be the case, according to Huw Beynon, who is the head of global brand management at Deep Silver. We sat down for a chat about the game with Beynon not too long ago, and we posed the question of just how big the game’s total map area is going to be compared to previous games. Apparently, according to Beynon, the demo level we played at E3 itself is twenty times as large as the largest level from Last Light, the previous game. What’s even more interesting is that that is not even going to be the biggest level in the game. That sounds incredibly exciting. I’ve mentioned several times in the past how the game’s larger scope and more open ended nature is looking like a mouth-watering prospect, and I’m hoping 4A Games will structure and craft that world well enough that it doesn’t feel needlessly large. We played the aforementioned E3 demo, and it impressed us quite a lot, so we’re quite optimistic. You can read our impressions here.